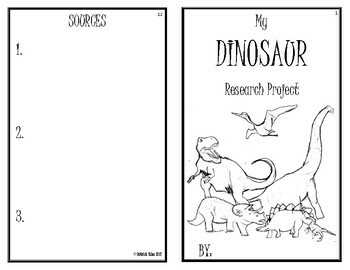 This is a great source to wrap up your dinosaur unit! 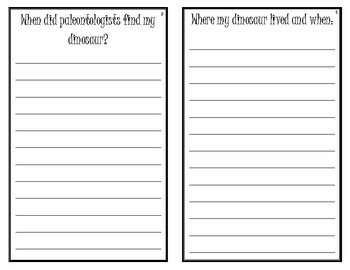 Students choose one dinosaur to research and fill out the pages according to the questions asked. 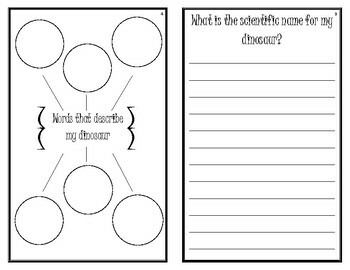 Examples of some questions include: Was my dinosaur a carnivore, herbivore, or omnivore? 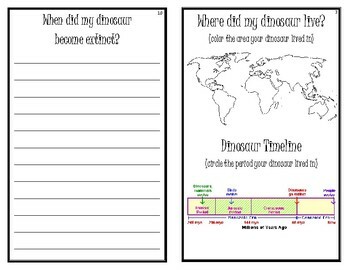 What did it eat?, What did my dinosaur look like?, When did paleontologists find my dinosaur? The booklet is meant to be copied double-sided. Once folded and stapled, there are 12 pages total in the booklet.